Celebrating the promise of a new year ahead, the entire world parties on December 31st. But a handful of cities around the globe have made the big night a bucket-list reason to travel whether you want to dance in a New York street, champagne-toast in the City of Light or surf an Australian beach. We polled our travel agents who hail the following five destinations as the world’s best places to celebrate New Year’s Eve. 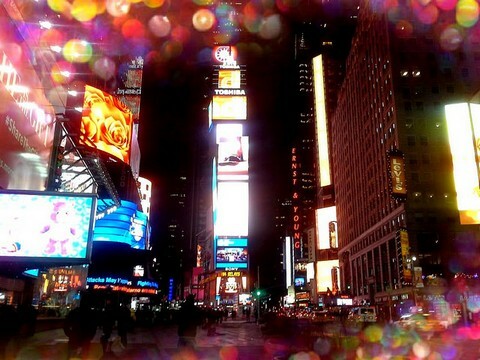 Manhattan’s Times Square hosts the nation’s biggest New Year’s Eve celebration. With fanfare aplenty preceding it, including concerts by charttoppers, an illuminated 12-foot-diameter ball marks midnight, dropping 70 feet in the last minute of the old year. The ball drop tradition dates back to the early 1900’s and has been growing ever since. Now, approximately one million people crowd into Times Square each year. The event — free, though a number of nearby hotels throw ticketed parties overlooking the festivities — draws revelers who line up as early as 3 p.m. to enter the area, listen to bands, toss confetti and watch fireworks at midnight. 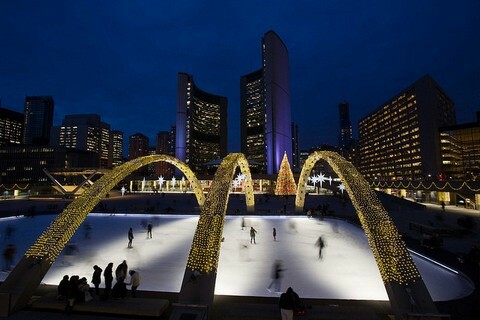 Canada’s biggest New Year’s Eve party takes place in its largest city, the multi-cultural, entertainment capital of Toronto. City New Year’s Bash is the official party site at City Hall in Nathan Phillips Square, featuring a roster of eclectic musicians leading up to midnight fireworks. Revelers fan out from Chinatown packed with restaurants to the Entertainment District, ground-zero for bars and clubs. Health-minded celebrants suit up in wacky costumes for the 5K Toronto Midnite New Year’s Eve Run, followed by a post-race party. Many locals drive the 70-some miles to Niagara Falls for the annual outdoor party, backdropped by the illuminated waterfalls, televised nationally. 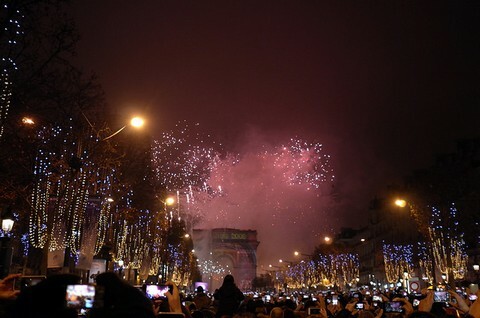 It’s hard to argue with Paris as a top choice for celebrations any evening of the year, but the City of Light literally sparkles on New Year’s Eve when colorful lights outlining the Eiffel Tower dance at midnight. Crowds gather along the Champs-Elysées to witness the ritual, but smaller festivities take place in plazas around the city, including Sacre Coeur in Montmartre, offering panoramic views of the city lights from its hilltop location. Dining is, bien sur, an occasion all its own, and the top tables fill well in advance. Combine dinner and sightseeing on one of the Seine River boats that knife through the festive center of town. The best thing about Australia in late December and early January is that it is the height of summer Down Under. 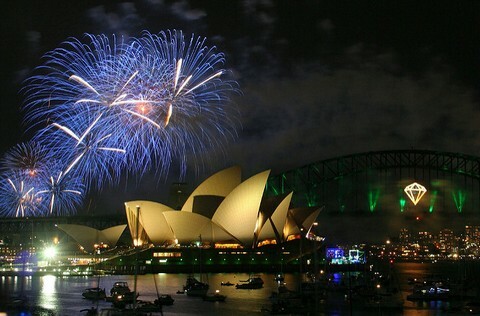 In the balm, some 1.6 million revelers cluster around Sydney Harbor, epicenter of New Year’s celebrations that culminate in a midnight fireworks display centered around iconic Sydney Harbour Bridge. Preceding it, the Harbour of Light Parade features dozens of light-trimmed boats navigating eastbound from Cockatoo to Clark Islands. The evening kicks off the month-long Sydney Festival in January, featuring 300 performances including dance, theater and burlesque. Concerts explore the musical range from rap to classical. From the pub-filled Temple Bar district to the gates of Christchurch Cathedral, Dublin parties in every quarter on New Year’s Eve. In the Irish tradition, music plays a big part in the festivities with concerts ranging from headliners at College Green to traditional players in pub snugs. 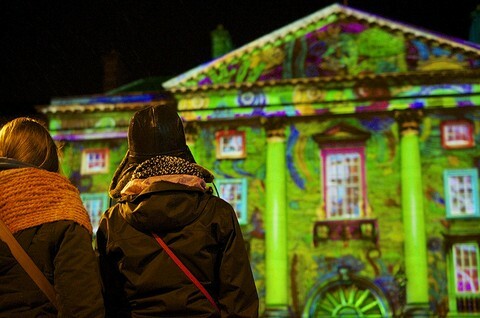 A Procession of Light — including torch-holders, stilt walkers and fire-breathers — winds its way around the city streets, concluding at St Stephen’s Green where a fireworks display marks midnight. Revelers recover New Year’s Day at the Big Brunch held in Meeting House Square featuring food stalls and traditional dancing.